The slow cooker is a faithful assistant of the housewife in the kitchen to help you create many delicious dishes. After establishing the desired mode smart device itself will prepare the food, for example, the traditional dumplings while you are doing other things or resting. Pastry in a slow cooker you can boil, sauté, fry and bake. Pour into the slow cooker enough water (depending on the volume of the device), for example, Put 1.5 l to taste table salt, Bay leaf, black sweet peas, and optional other seasonings. Then bring the liquid to a boil, setting the instrument mode "Soup". Serving frozen or freshly made dumplings submerge in the boiling water and mix well so they are not stuck together among themselves. Close the slow cooker, and after a few minutes, open the lid and again stir the brew. Cook pastry for 10 minutes. The same sample can be cooked in a slow cooker and some other products made of dough stuffed with ethnic cuisine, for example, Russian vareniki and Georgian khinkali – the last should be cooked in a single layer, so containers must be enough water. The finished pastry is not stuck together in the dish before you get it, pour in the boiling water a glass of ice water. When the broth will boil again, remove the dumplings with a slotted spoon. The steam dumplings recipe even more simple: slow cooker pour in water, select the special sieve, which is included. Then liberally grease the inside surface with vegetable oil (or dip into it for one pastry) and place on the bottom of the dumplings. Set the mode "steaming". After 20 minutes the dish is ready. One of the easiest ways quick and tasty to cook dumplings is to fry them in a slow cooker in sunflower oil or butter. It is necessary to set the mode "Baking" and cook the pastry for 15-20 minutes, stirring occasionally. This dish is ready to eat. If you wish to make it more juicy, the dumplings can be filled with hot broth, boiling water or sour cream and simmer in slow cooker for another 10 minutes in the mode "stewing". 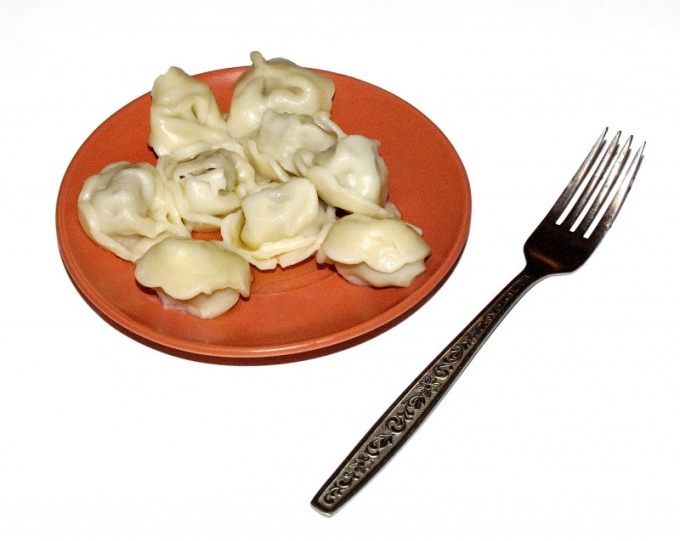 The functionality of some modern multivarok includes a special mode "Dumplings". Using it, you can be sure that the pastry won't stick together and will not digest. Great baked dumplings can be done in just 15 mint. Put frozen or fresh foods in a slow cooker, then make a simple sauce: stir in 0.5 cups of water 4 tablespoons of thick cream (at least 20%). Pour the resulting substance dumplings and bake until the end of the program. When to turn off the slow cooker will remain for 3-5 minutes, pour the dumplings with grated cheese.